In this age of online banking, along with PayPal, Microsoft is responding with a special innovation, offering the chance to insert a hyperlink for the online payment service into the invoice. By clicking on this link, customers are forwarded directly to PayPal, allowing them to pay the respective invoice more conveniently and more quickly online. 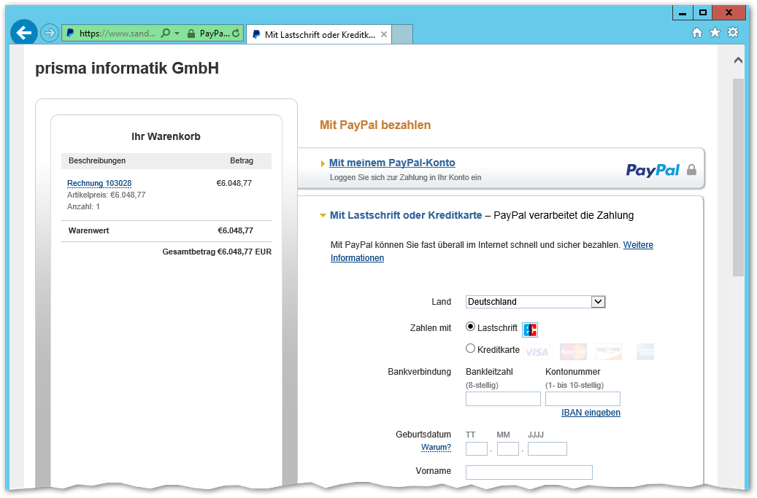 The necessary invoice information is transferred to PayPal by Dynamics NAV, so the customer has just to confirm the payment. The link can also be attached subsequently to sales invoices that have already been booked. In addition, Dynamics NAV 2017 allows the user to flexibly configure which documents should contain a PayPal link. The link can be added to both individual invoices and all invoices as standard with the corresponding Settings. 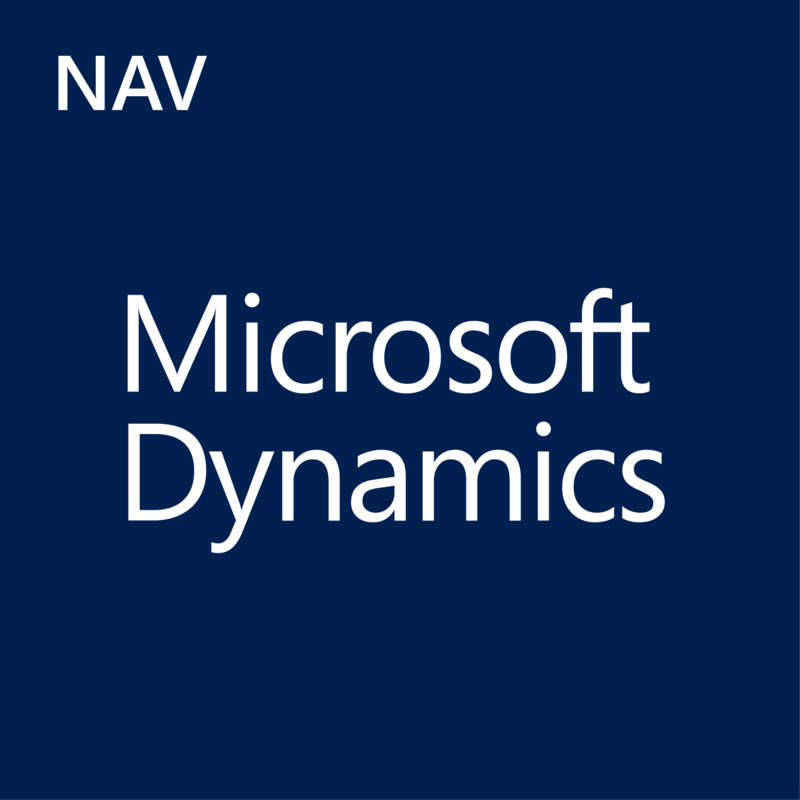 To simplify the completion of sales processes for users, the previous version of Dynamics NAV introduced a special OCR service. 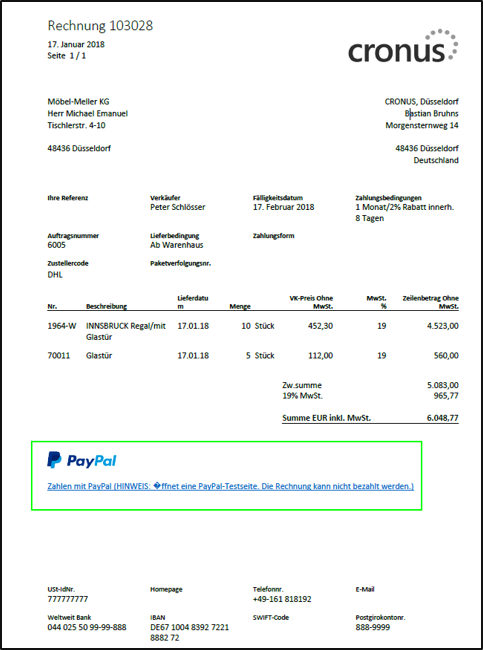 Along with the introduction of the PayPal invoice link, the OCR functionalities have now been upgraded. With the text recognition service from Lexmark, incoming receipts in PDF format (scanned or received electronically) can be converted into a structure which is easily processed by the ERP system. So far it has only been possible to transmit header data and invoice amounts via the OCR service to a partial extent. Dynamics NAV 2017 simplifies this process as the article and general ledger account lines are also extracted. Invoice capture with OCR can be seen to be especially valuable for repeat invoices, since items can be determined easily using cross-references (e.g. the manufacturer). 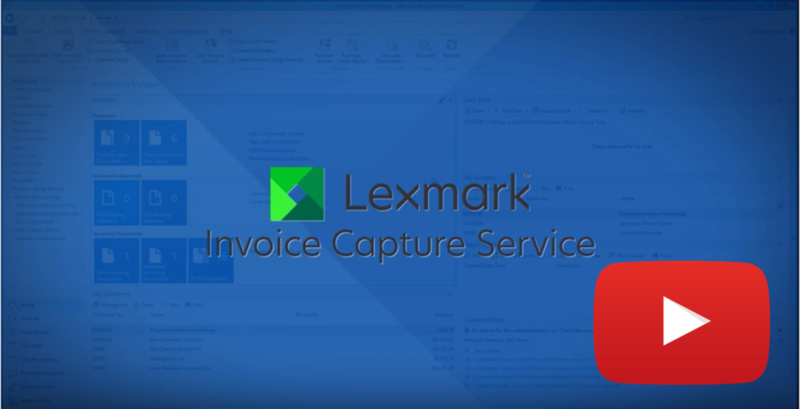 In addition, the new visual Lexmark website helps with checking invoices as well as with recognizing creditors and items. 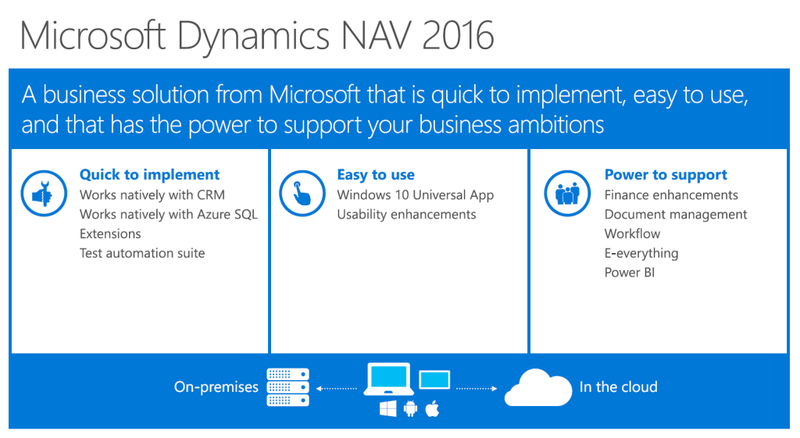 The waiting has come to an end: At Directions EMEA 2015 in Mannheim, Microsoft announced the official availability of its new release, Dynamics NAV 2016. The ERP software offers its users numerous important innovations relating to portability and integration, as well as application-related and technologically progressive upgrades. Even with the new release of its ERP solution, Microsoft wants to adhere to the three promises made to its users. Like its previous versions, the product shall be quick to implement and easy to use, and above all shall assist medium-sized companies all over the world in achieving their goals. • The new innovative Universal App (available for Windows, iOS and Android), which now enables the program to be used even on the smartphone. • Greater integration with the Microsoft products CRM, Azure and Office 365 to ease workflows, as well as upgraded Power BI Content. • Extended opportunities for the digitalisation of company documents and processes through Document Management, OCR and a new Workflow Module. • Improved links to the outside world through new E-Services and Microsoft Social Engagement Integration. • Additional upgrades in the development environment (e.g. new automated tests), financial accounting and the Web Client. You will soon find detailed information about the new functions and upgrades in Dynamics NAV 2016 in our ERP newsroom. Further information directly related to the new release can also be found here.